As we approach a new year we usually reflect on the past and set goals for the future. I have been slack in my posting and sharing, so one of my resolutions is to be more active in posting what we are up too. 2017 was a good year and I thank God for all the blessings that my family and I have received. 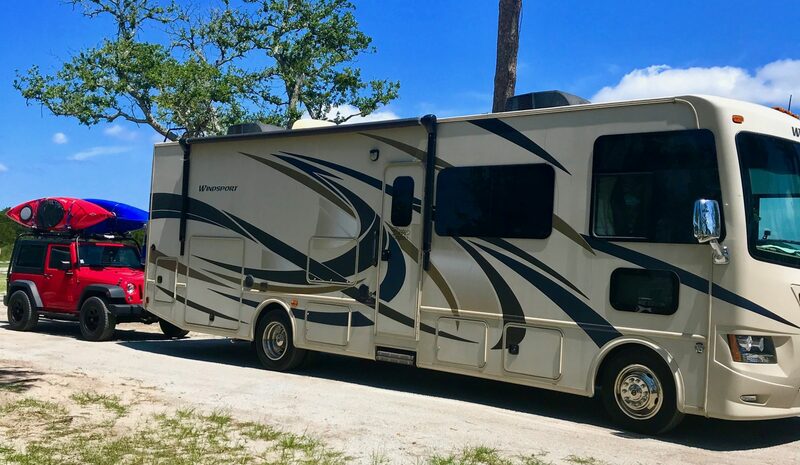 We all have had good health, no issues, and have been able to hit the road in the motorhome for a good number of trips this past camping season. Some of the places we visited were the usual Myrtle Beach trips. We also traveled to Roanoke Rapids NC, Sylvia NC, Savannah GA, Charleston SC, Statesville NC. We visited downtown Savannah, floated down the Tuskagee River in the NC mountains, attended the NC Balloonfest in Statesville and checked out the Christmas lights in Charleston SC. The rest of the trips were in the Myrtle Beach area for some sun and fun. We have cabin fever, the weather here in Wilmington has been cold last week and the forecast for the first week of January to only be in the mid 30’s and drops to the teens a couple of nights. This is not normal for our area and it keeps me close to a heater. Yesterday it did warm up to the lower 50’s and i was able to get out in the motorhome and run down to Fort Fisher to charge up the chassis battery and roll the tires a bit. Doesn’t do the motorhome good to sit up and not be used. Can’t wait for out Easter trip to Lexington VA area for a few days with friends and family. The days are getting longer now, and I have a few minutes when I get home to get some sunset shots. The cloud formation has really be wild the last couple of days and I was able to get a couple good shots. I wanted to get down to the waterfront this pass weekend, but didn’t make it. Hopefully next week I’ll make it. As we move into the new year, one of my goals is to get back on track of visiting the state parks in North Carolina and take advantage of what the state offers in great places to hike and explore the great outdoors. I want to stay off the couch and exercise more this year. Got a couple of projects that I am working on and will share them with you in the near future. Until next time, thanks for visiting our site and please come back.